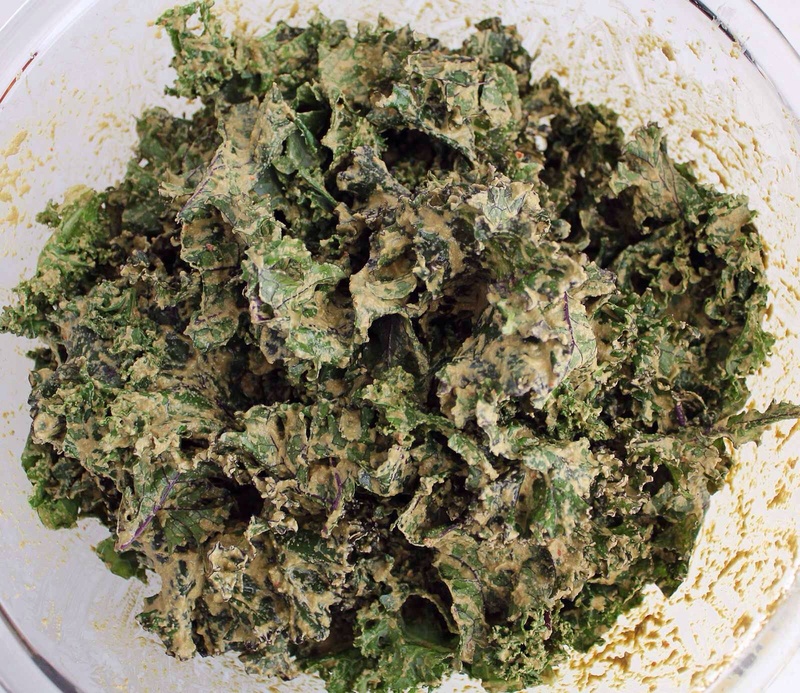 By now we have all heard of kale chips, if not tasted them, tried making them ourselves or gasped at their high price tag at the grocery store. The first time I ever heard of them, was when I spotted them in a health food store in Southern California. I read the ingredients, bought them, took them home, shared one, possibly two, ate the rest, read the ingredients again and went back and bought more. It went on like this for the duration of my vacation, and by the end of the week, I was certain my insides were green because my teeth certainly were, and I had ordered a food dehydrator on-line (for about the same price as my week-long kale chip-a-thon had cost me) to meet me at home for some fun experimenting. It took some trial and error but eventually I figured out a basic recipe that could be enjoyed as is, or swung in other directions with some different herbs and spices. I consider these kale chips healthy, and I have to keep reminding myself of this because they taste SO GOOD. The nuts/seeds are soaked for optimal digestion and nutrient absorption, the red pepper and lemon are full of vitamin C, miso paste is fermented and contains naturally occurring probiotics and vitamin B12 (illusive in a vegan diet). The nutritional yeast is a deactivated yeast, so it will not negatively impact your intestinal flora the way that bread yeast and other yeasts can. 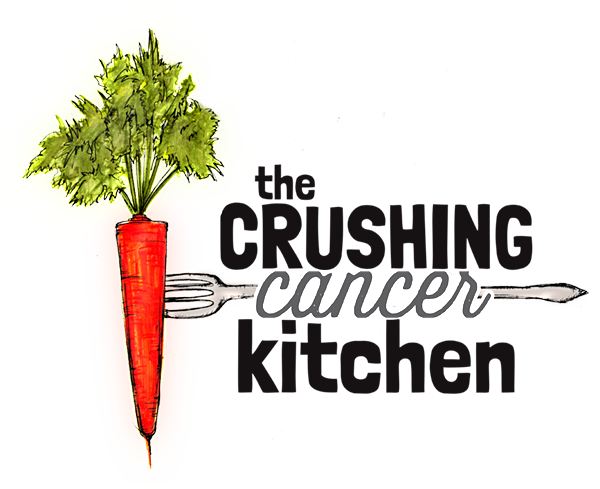 It is high in b vitamins, which we use up faster when we are stressed out (not that cancer is stressful, right?) and a happy side effect is that it tastes a bit like cheese (a good thing, trust me). I used pumpkin seeds in this recipe, mostly because I like their zinc content, but also because if you are already drinking almond milk, eating almond butter and snacking on walnuts, these seeds add some diversification to your diet. Any nut or seed works in this recipe, but the texture and flavour will change slightly based on which you choose. Kale offers different health benefits when it is raw versus when it is cooked, so generally speaking, it is important to enjoy it both ways. 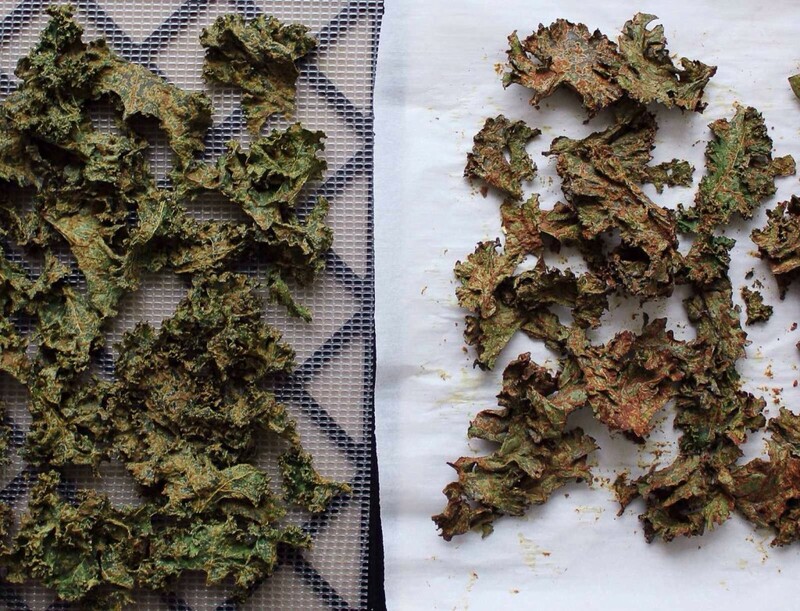 When it comes to the kale chips, if you use a food dehydrator to ‘cook’ the chips under 115*F, they will be considered raw, and if you bake them in the oven at a low temperature (250*F) until crisp and dry, they will be considered cooked. Either way is good, I often use my oven out of laziness (my dehydrator is way up high) and enjoy a little bit of extra toasty-ness, but I also find the texture is better when they are dehydrated. 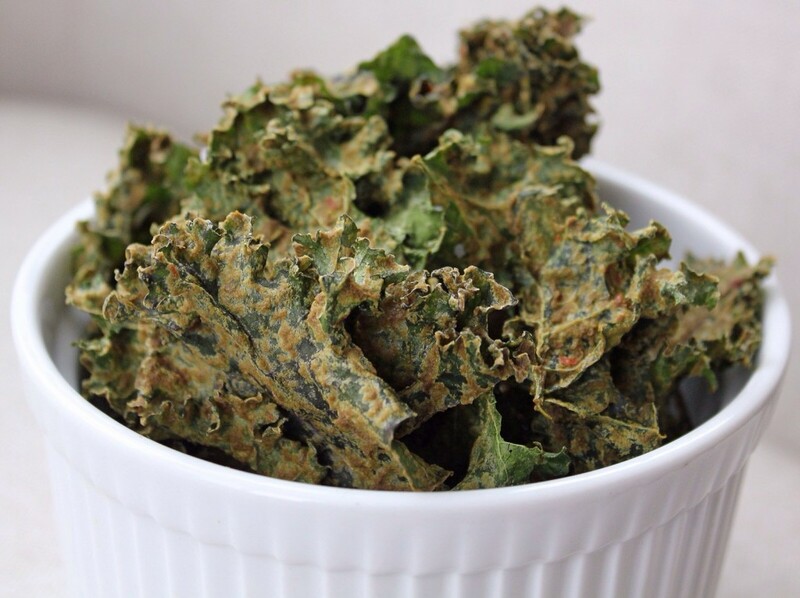 These kale chips really are the ultimate snack food. They are crispy, savoury and surprisingly filling. If you look at the ingredients, they equate (roughly) to trail mix with kale. 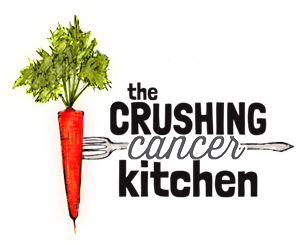 Much like trail mix, you can take them on a hike, on an airplane, to the chemo chair, or simply eat them right out of the dehydrator because you are hungry and have been waiting for 12 hours. All you are missing is the water that you dehydrated out of them, so enjoy with a tall glass of water, or better yet, a frosty glass of water kefir. And then go brush your teeth. 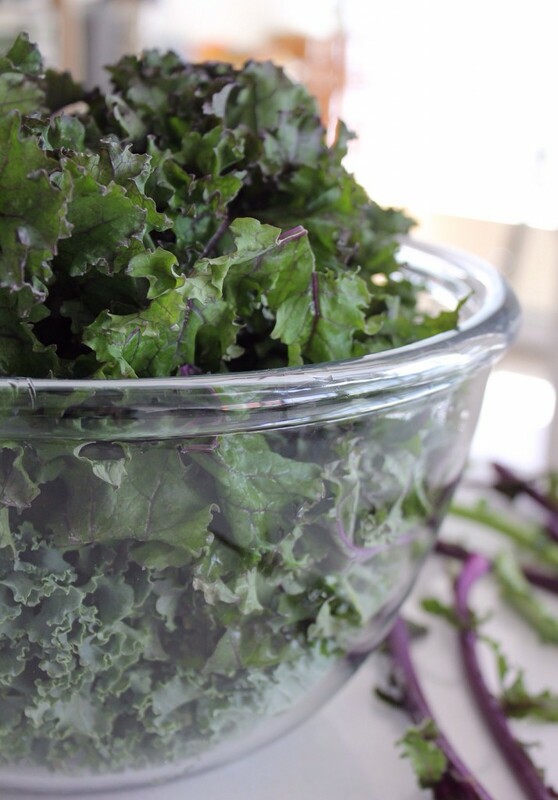 Pull the leaves off of the stems of kale by holding the stem in one hand and running your hand along it. Like when you pull thyme or rosemary off their stems. 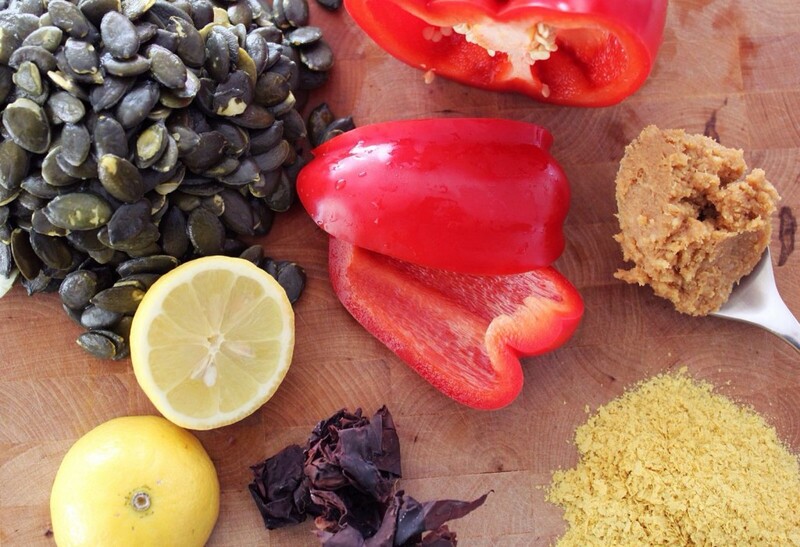 Blend the rest of the ingredients in a blender until very smooth. 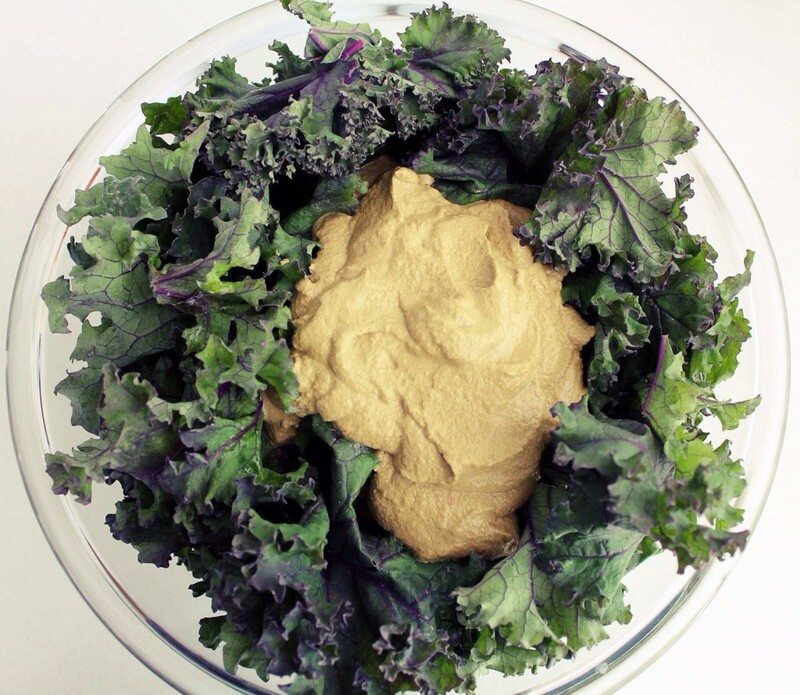 Toss together with the kale, mixing and massaging until very well mixed. 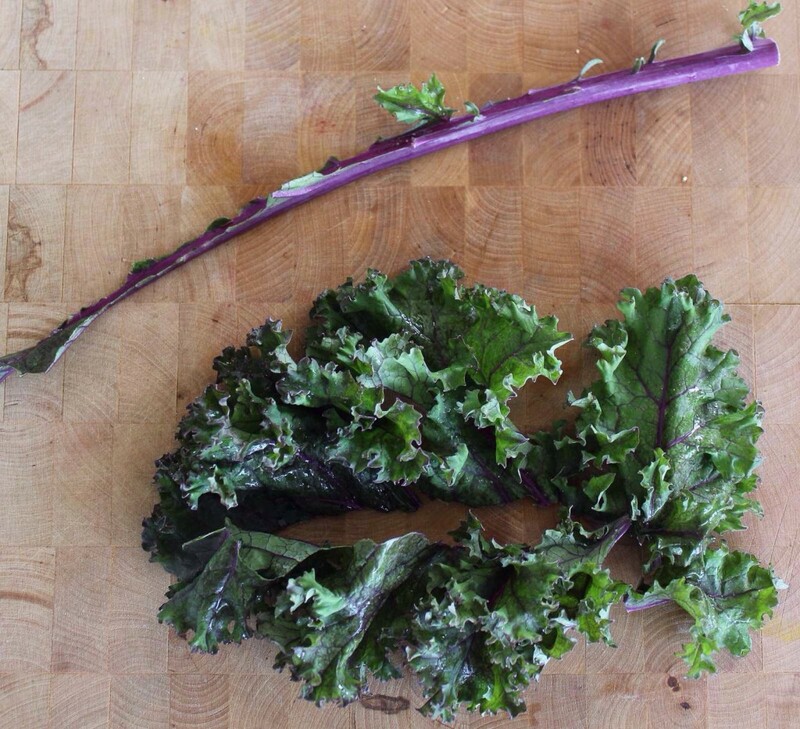 Any kale that is not well coated will be flaky instead of crunchy. Spread out on a parchment-lined baking sheet or or dehydrator tray without stacking them too much so that they dry evenly. Bake at 250*F with the convection on for an hour or so until the leaves are dry and there is no moisture anywhere. You will have to occasionally pull them out and rearrange them so that they dry evenly. Set it to 115*F and let them go for about 12 hours. You may have to go in and rearrange the trays occasionally. If you're letting them dry overnight, don't worry about it. Either way you cook them, make sure they are bone dry before you store them. This will mean they will keep longer. Store them in an air-tight container. If they get soft, just throw them into the oven or dehydrator for a few minutes.